P2P lending marketplace Fellow Finance is now open for borrowers in Poland. Polish customers can now apply for peer-to-peer loans with maturity from 1 to 3 years up to 12 000 PLN. For Fellow Finance investors this gives an opportunity to diversify their investments geographically and in two currencies (EUR and PLN) with single consolidated user interface and reporting in investor’s own preferred currency. The ability to operate in multiple currencies also enables Fellow Finance to scale its platform to new geographies swiftly in the future. Latvian p2p lending marketplace Mintos has raised 2M EUR from VC Skillion Ventures in Riga. The p2p lending service was launched a year ago and lists loans from several loan originators. The loan types include mortgage loans, secured car loans, business loans, personal loans and invoices finance. The majority of the retail investors resides in Latvia, Germany and UK.The investors financed a cumulative loan volume of over 16M EUR since launch. 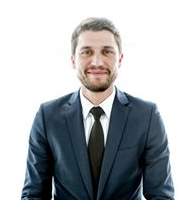 On October 1st Jevgenijs Kazanins became new CEO of Latvian p2p lending marketplace Twino. He previously worked as CMO at Estonian p2p lending marketplace Bondora. Twino was launched in June and is part of the Finabay group which operates since 2009. 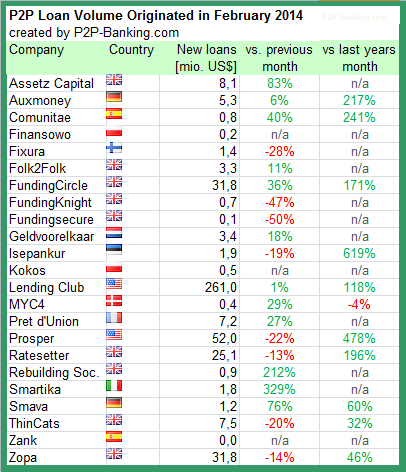 So far all loans offered on the p2p lending marketplace are from Latvia, whereas the Finabay group is active in a broader set of markets. Twino is open to international investors – German retail investors are the largest foreign investor base. Since the mother company Finabay is already originating these loans, it will not be a challenge to build loan volume. Kazanins aims to originate 5 million Euro loan volume per month. As the loans already exist and the new aspect consists only of refinancing through p2p investors, Kazanins is convinced of the good quality of the loans: ‘We estimate that 15-20% of [polish] loan volume will be bought back through the BuyBack Guarantee program (defaulted loans and loans with more than 6 extensions‘. P2P lending develops quickly in the world in recent years. The platform Kokos.pl was the beginner at social lending in Poland in February 2008. The following portals began to operate shortly thereafter: Finansowo.pl, Monetto.pl (both in March 2008, however Monetto is not operating any more) and Smava.pl (equivalent to German Smava.de platform). During the first four years of the Polish p2p lending market the value of loans was estimated at PLN 130 million (approx. USD 43 million). It consisted only a small number comparing to the value of consumer loans granted by banks – more than PLN 127 billion (approx. USD 42 billion), as of February 2012. Almost half of this amount (PLN 61 million, approx. USD 20 million) was borrowed through the platform Kokos.pl, which so far has more than 180 thousand users. After five years (situation at the beginning of 2013) from launching the first p2p platform approx. half a million the Polish residents borrowed approx. PLN 250 million (USD 58.5 million) (5 lat pożyczek społecznościowych, 2013). The owners of the p2p platforms earn money mainly on fees charged for transactions. It should be noted, that the information about the p2p lending market in Poland is limited and current, comprehensive data are lacking. The most important players on the Polish social lending market are: Kokos.pl (with almost 80% share in invested funds through p2p lending platforms), Finansowo, Sekrata, Pożycz, SzybkoiPewnie, Bilonko, Zakra (Zestaw Narzędzi Pożyczkodawcy, 2013). The situation on p2p lending market in Poland is dynamic, however there is more positive tendencies associated with entering of the new players on the market, than the bankruptcies of the p2p platforms. The two examples of the latter are the collapse of Monetto.pl and Ducatto.pl. The Polish peer-to-peer lending market seems to be interesting for foreign p2p platforms (for instance the entrance of Swedish TrustBuddy in 2013). Taking under consideration the information from the largest p2p platform Kokos.pl (the data include the 5 years period, from the launching of the platform) we can state that the statistical investor and borrower came from Masovian Voivodeship (is the largest, the most populous and the wealthiest voivodeship in Poland), are on average 34 and 33 years old. The statistical borrower borrows on average PLN 2,026 (USD 1.500) for 11 instalments. The average salary is equal to PLN 2,723 (approx. USD 2000). Today Lendico launched its p2p lending service in Poland. 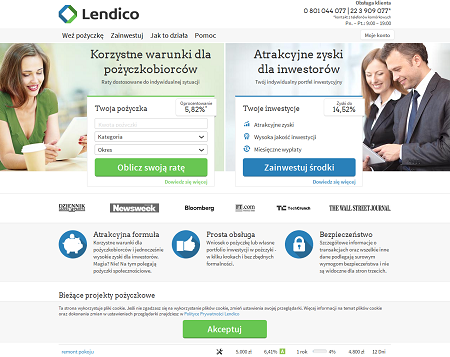 Poland is the third market Lendico serves, after Germany and Spain. Loan amounts can be between 1,000 and 50,000 PLN (approx 16,400 US$). Loan terms are from 1 to 5 years and interest rates range from 5.82% to 14.99%. Currently there are 8 open loan listings. Lendico maintains an office in Warsaw. There are already other p2p lending service operating in Poland (e.g. Kokos and Finansowo – which in 2010 merged with Smava Poland). Na polskim rynku finansowym pojawił się nowy gracz: Lendico. To nowoczesna platforma pożyczek społecznościowych, która w bezpieczny sposób łączy pożyczkobiorców z osobami zainteresowanymi korzystną lokatą własnego kapitału. Dzięki temu pozwala uzyskiwać pożyczki na korzystnych warunkach oraz daje perspektywy inwestycji o wysokiej stopie zwrotu. W ten sposób Lendico oferuje produkt niedostępny dla klientów tradycyjnych banków. Polish P2P lending market Kokos.pl announced today a new product – SMS loans coupled with prepaid MasterCard PayPass card. The product is targeted at borrowers who do not want to set up regular listing, but need quick “liquidity injection”. When the auction is fully funded, the borrower’s prepaid card is topped up immediately and he gets SMS notification. The terms of SMS loan contracts are predefined. The amount is 500, 1000, 2000 or 3000 PLN, interest rate is locked at 20% p.a. (interest rate cap enforced by Polish anti-usury law) and the duration of loan is limited to 12 months. The prepaid MasterCard is issued by Bank BZ WBK (owned in 70% by Allied Irish Bank). It is equipped with PayPass technology enabling contactless transactions at the point of sale.